Hello - I'm back :) Thanks for your patience while I took a little break away from BAD. I wanted to re-evaluate the blog and make sure it was continuing in the direction I wanted it to go. I also wanted to see if I would miss it - and I did. So thankfully it was still here waiting for me. It probably also didn't help that our temperatures were dipping into the single digits here in NC. That really doesn't make for shooting puffy jackets and pom-pom caps. I've always admired kimonos from afar but hadn't really taken the plunge until recently. Now I can't get enough of them! 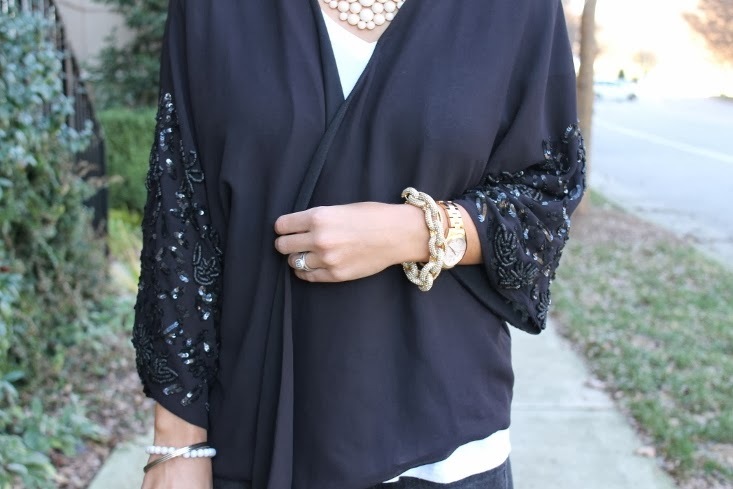 I love that this one has glittering sequin sleeves but LuLu's has a whole bevy of kimono options from fringe detail to prints to all over lace. It's fun to dress them up but sometimes a gal just needs a white tee and booties. It's Friday and even though the weekend is upon us, I plan on spending it with my nose either in my laptop or reading Blog Inc. TGIF my friends! Welcome back!!! I also love Kimono's and recently purchased one. It was so fun styling it for these cooler temps! Love this sequin on yours! Nice to see you back Nikki.....and looking so lovely in that sparkly kimono!!! Such a gorgeous kimono, and I love you shoes too! Absolutely stunning as always. Welcome back doll! Love the kimono look! I've been on a serious hunt for some vintage kimonos. There's something so dramatic about them! And even though yours isn't vintage, it's gorgeous. I love the beading! So cute!! Love the sleeves on that kimono. Let me know how you like Blog Inc! I've been wanting to read it. I am totally with you. 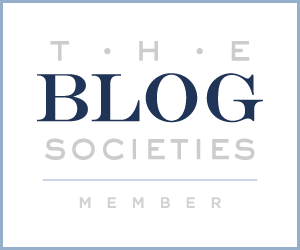 After the new year hit I wanted to re-evaluate blogging. It can be crazy sometimes trying to manage and find the right direction... but i'm glad to see you are back! That kimono is gorgeous. You look amazing and in love with this look. Adoro o look, a saia é linda!!! I am glad to see you back. I Have been MIA since super busy during the holiday season and with an active 1-year old but now I am black showing love to you. I absolutely adore your Kimono Cardigan. Such a Chic & Trendy Outfit!